The runner up in February in the Czech Republic, the following month a surprise semi-finalist in the French National Championships; on Thursday 11th April, the host nation’s Prithika Pavade maintained her quite outstanding run of form. She won the junior girls’ singles title at the French Junior and Cadet Open in Metz; yet another fine performance and one more factor can be added to the equation. She is only 14 years old. Occupying the no.4 seeded position, at the final hurdle she overcame Amy Wang of the United States, the top seed, recovering from a two games to nil deficit to secure victory (7-11, 7-11, 11-9, 13-11, 11-7). A hard fought success in the title decider, on the second day of play it had been the same en route to the final, in critical situations she responded. In the opening round she beat Italy’s Gaia Monfardini, in seven games (11-5, 7-11, 8-11, 11-5, 9-11, 11-6, 11-6), before rather more comfortably accounting for Germany’s Laura Tiefenbrunner (11-3, 11-3, 11-5, 11-8) to reserve her place in the penultimate round where a most testing adversary awaited. 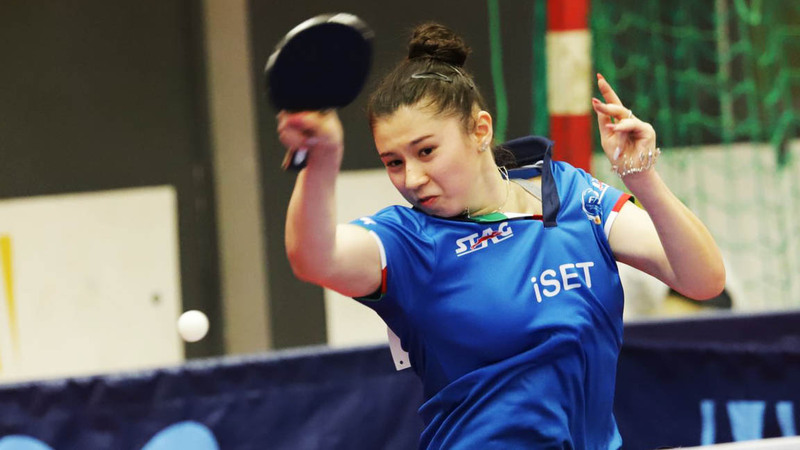 She faced Japan’s Kaho Akae, the no.6 seed and the winner earlier in the year in Sweden. 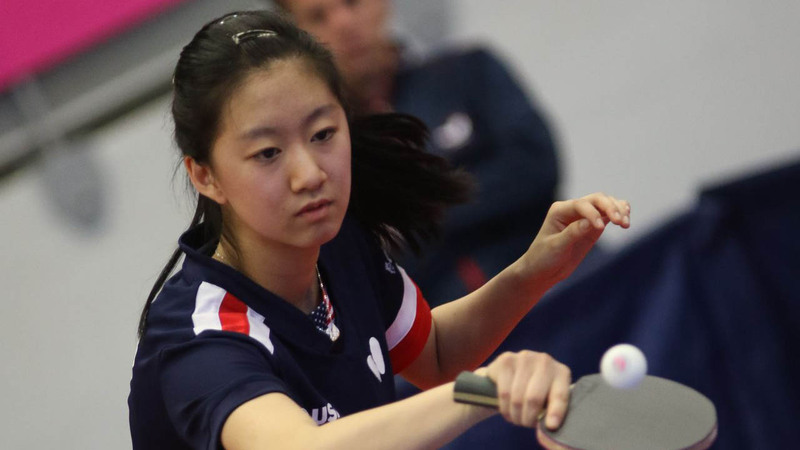 Moreover, in Metz, Kaho Akae was in form; at the quarter-final stage she had beaten colleague Yuki Tsutsui (11-5, 11-5, 11-5, 4-11, 11-3), the third round winner in opposition to the Czech Republic’s Zdena Blaskova, the no.2 seed (11-5, 11-5, 11-5, 4-11, 11-3). A most worthy opponent, Prithika Pavade responded, in second full distance contest of the day she emerged successful (12-10, 8-11, 11-8, 8-11, 12-10, 9-11, 11-7). The coach in question sitting courtside was Ludovic Rémy, the head coach for the junior girls; naturally he was delighted with the performance of Prithika Pavade. A pleased national coach, it was the same response from Nicolas Greiner, her club coach. He was clear it was a reward for effort and dedication. Success and hard earned success, on her journey to the final it was somewhat the same for Amy Wang. After accounting for Julie Pennec, like Prithika Pavade from France (11-4, 13-11, 11-4, 11-7), she needed the full seven games to end the progress of Japan’s Sakura Yokoi (11-9, 11-9, 9-11, 4-11, 12-10, 7-11, 11-5), prior to reserving her place in the final courtesy of success in opposition to Italy’s Jamila Laurenti, the no.3 seed (15-13, 11-3, 13-11, 10-12, 11-2). Silver for Amy Wang in the junior girls’ singles event, in the junior girls’ doubles it was gold and role reversal. Partnering Crystal Wang, at the final hurdle, the duo accounted for the French partnership of Isa Cok and Berenice Marteau (11-4, 9-11, 11-7, 11-8) to seal the title. The individual events concluded; the focus now turns to the team competitions.